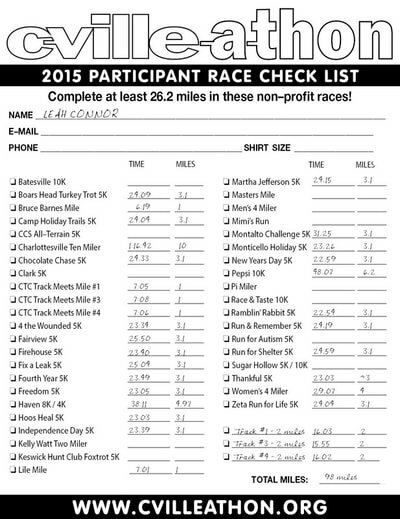 The c-ville-athon is the brilliant idea of my coach, volunteer race director, and running store owner Mark Lorenzoni. Created as a way to encourage runners to try a variety of local not-for-profit races as well as to track one’s progress over the year, the c-ville-athon allows participants to design their own racing experience by running at least 26.2 miles in charity events in a calendar year. I worked behind the scenes to create a logo, flyers, website, and social media presence for this initiative and it was a huge success during its first year. 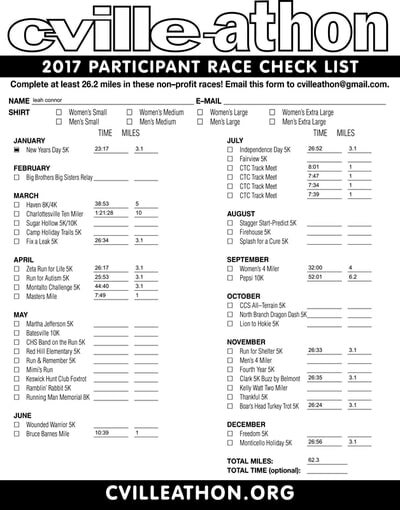 Of the 243 people who signed up for the challenge in the inaugural event, 83 runners submitted their checklists, running a total of more than 2500 miles for worthy causes! Currently we have 216 likes on facebook and 46 followers on twitter and hope to increase our visibility and engagement over the next year. 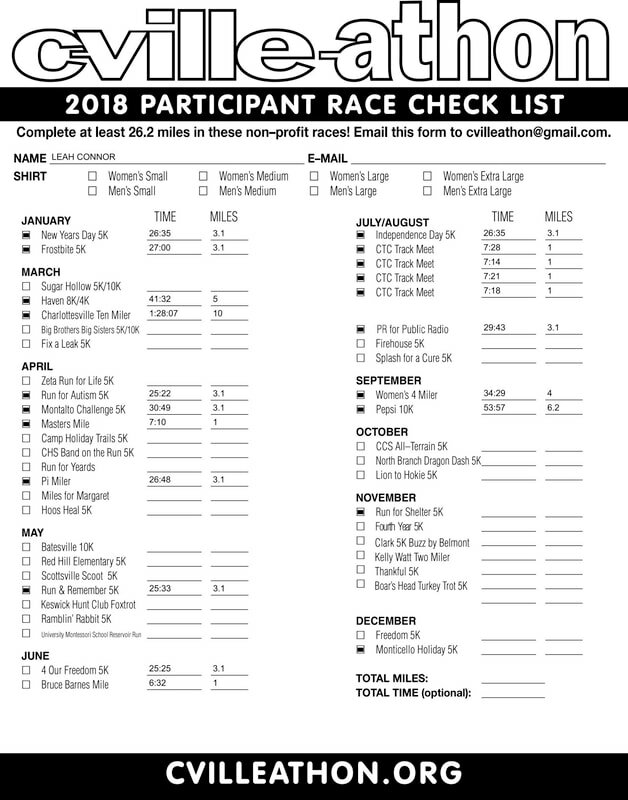 Although I didn't PR in any distances during my c-villeathon, I was the most proud of my Ten Miler time of 1:16:42 which is my 3rd fastest time in that distance (and the two faster times were on the flat Cherry Blossom course). 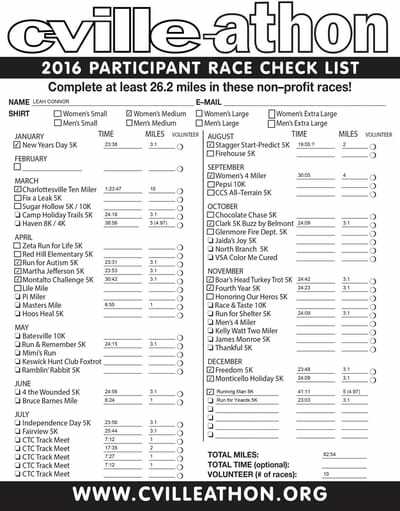 I had a few really bad races this year especially in the 5K (for me, anything 24 or above is disappointing unless it's the week after a marathon :) which was the Chocolate Chase after the Chicago Marathon). 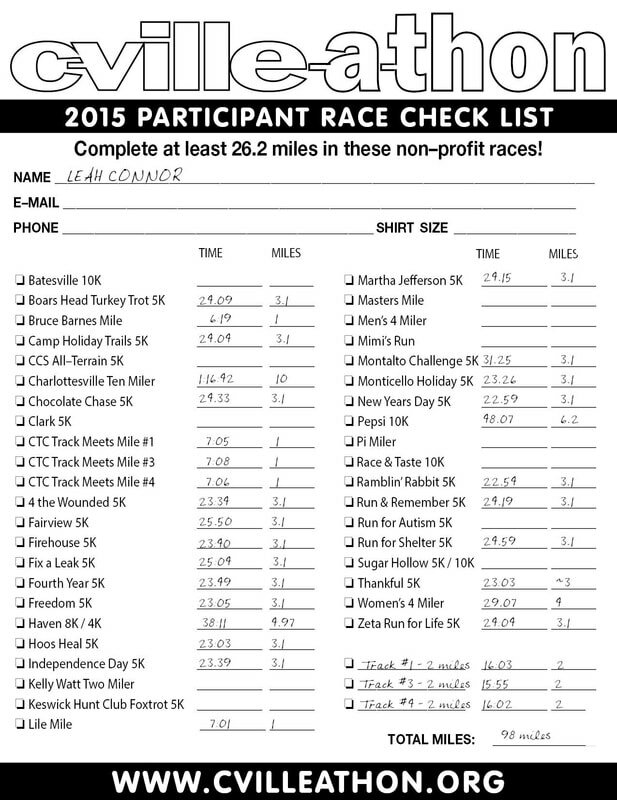 Luckily, I was able to finish off the year with two 5Ks averaging 7:40 pace on my Garmin and finish times of 23:26 and 23:05.